The Cheshire Tavern is situated in Congleton town centre in England. Our extensive two for one pub food menu is excellent value and we also offer a wide range of specials. Our aim is to cater for all, whether it's a family meal or a private function. 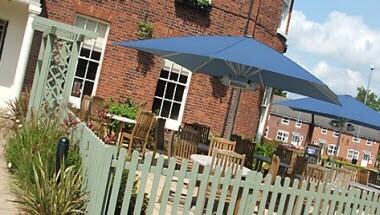 The Cheshire Tavern offers a function room holding a maximum of 80 guests for a buffet.